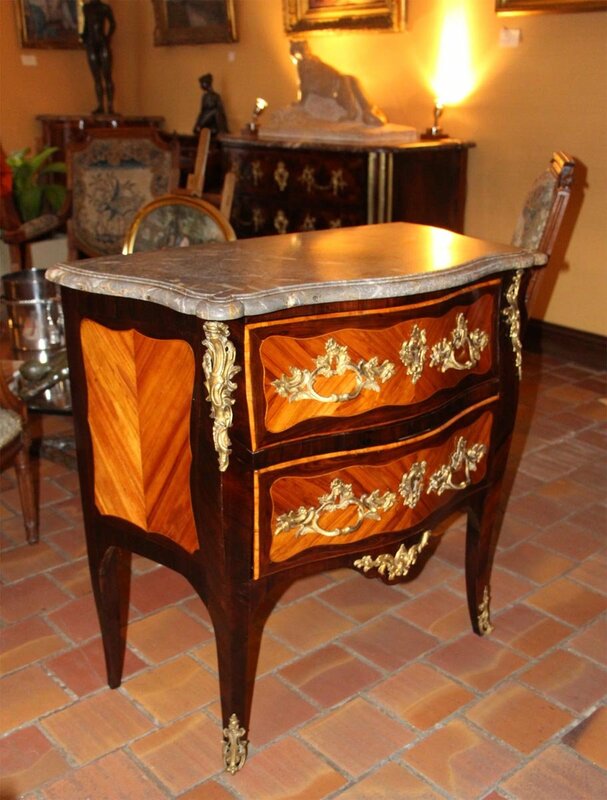 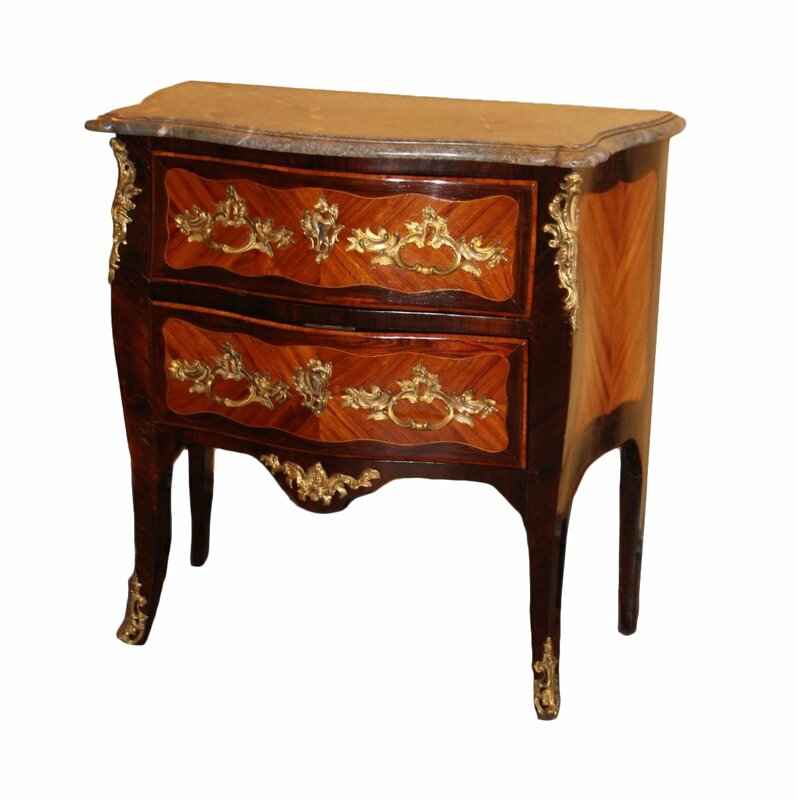 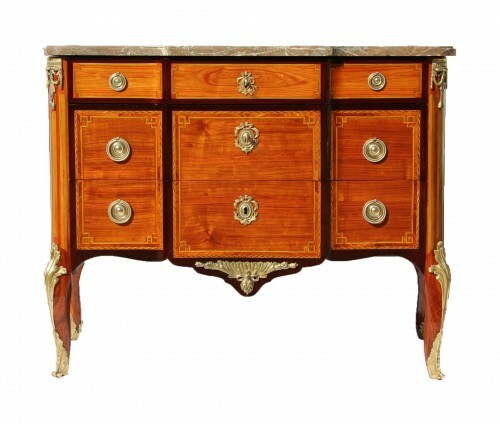 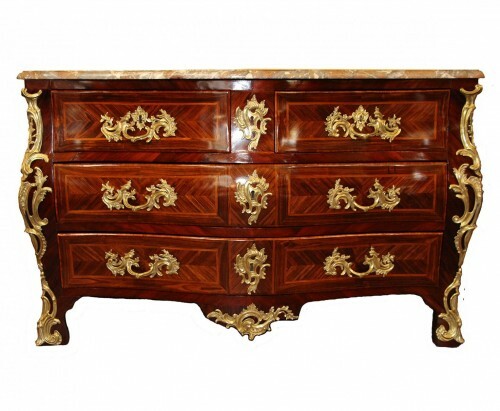 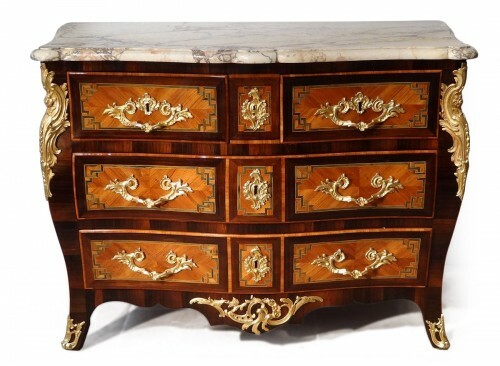 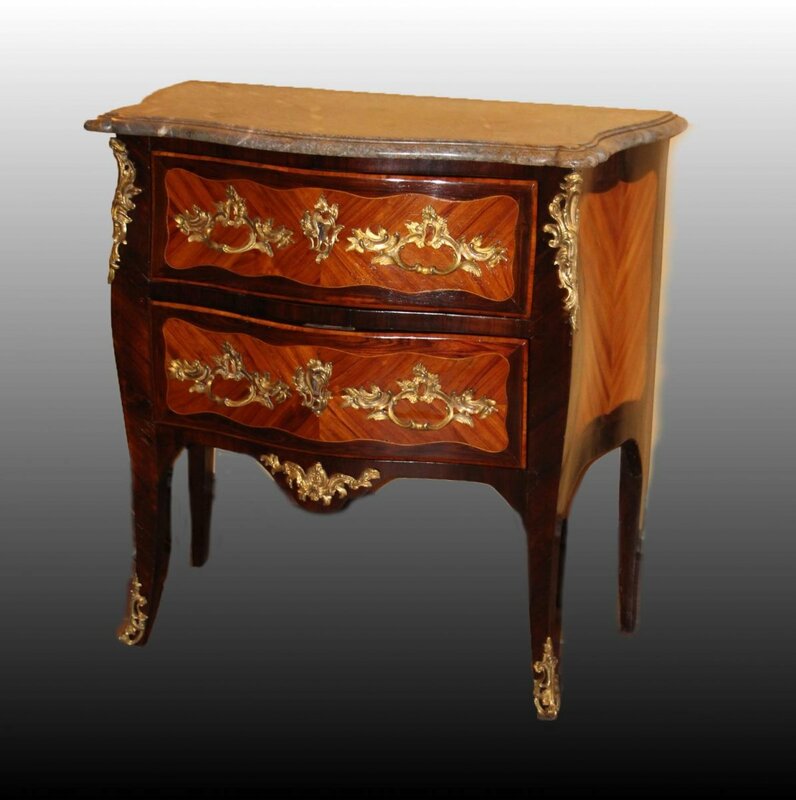 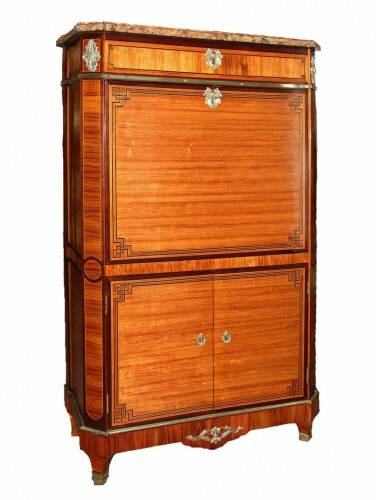 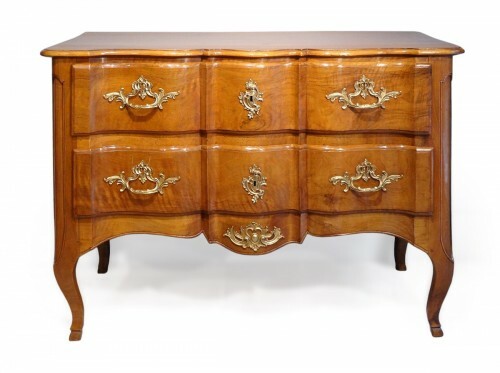 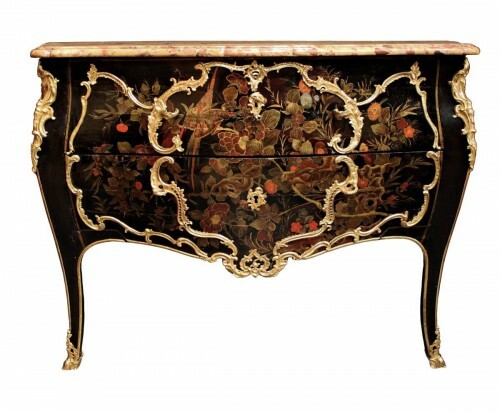 Louis XV "sauteuse" chest of drawers, strongly curved on the front and on the sides in rosewood and rosewood veneer. 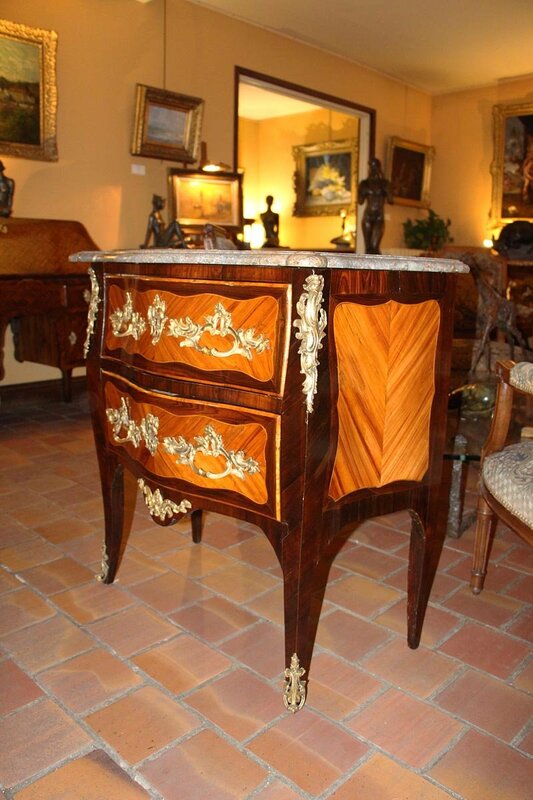 It opens with two drawers in two rows and rests on curved legs. 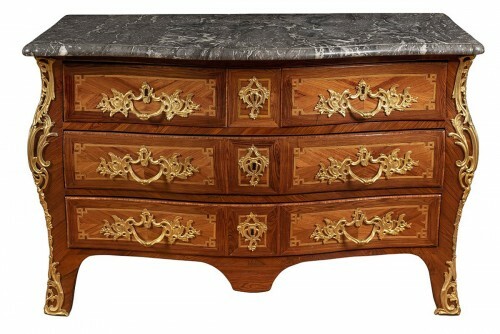 Gray marble top.